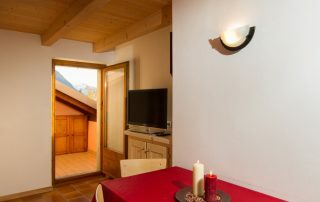 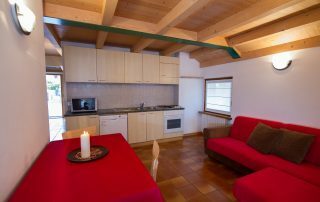 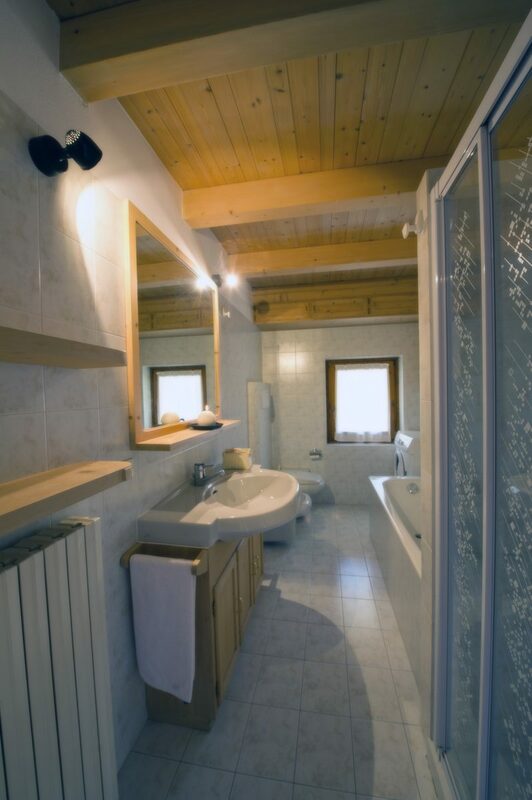 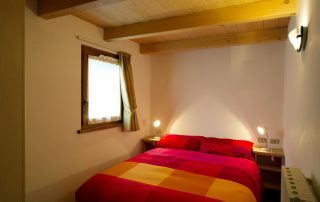 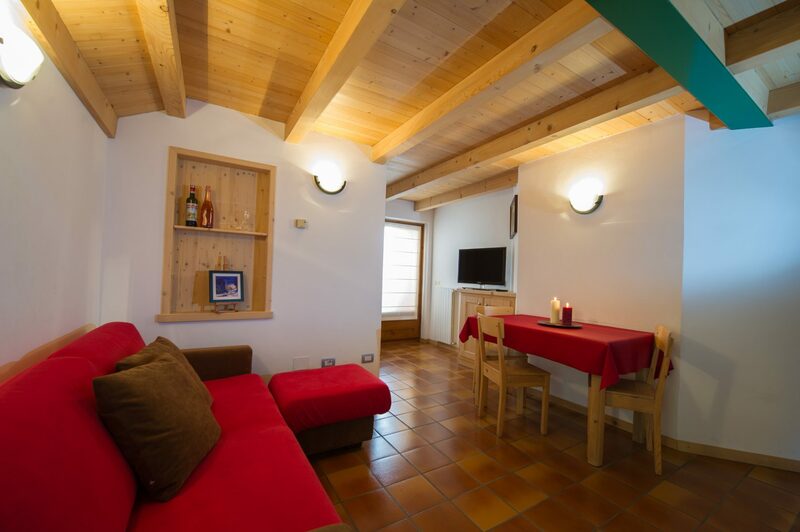 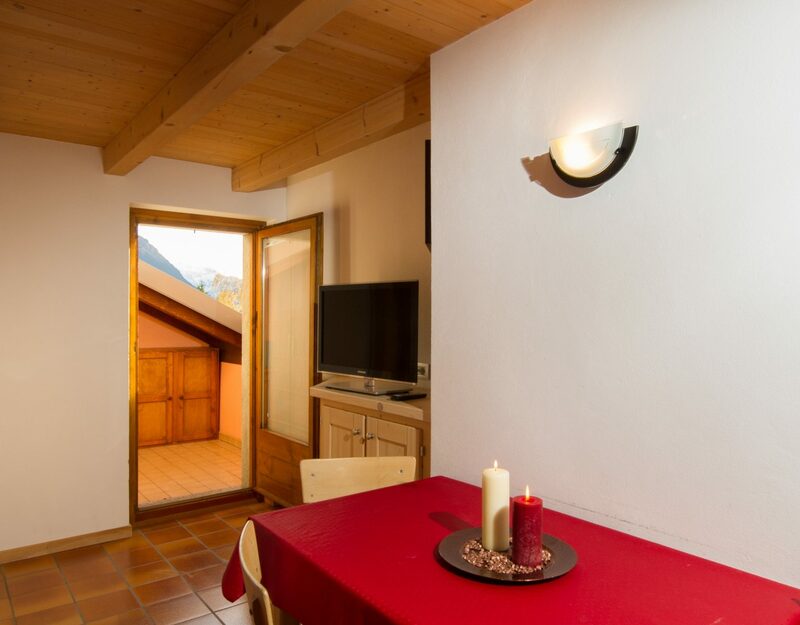 Bormio apartment rental up to 5 beds. 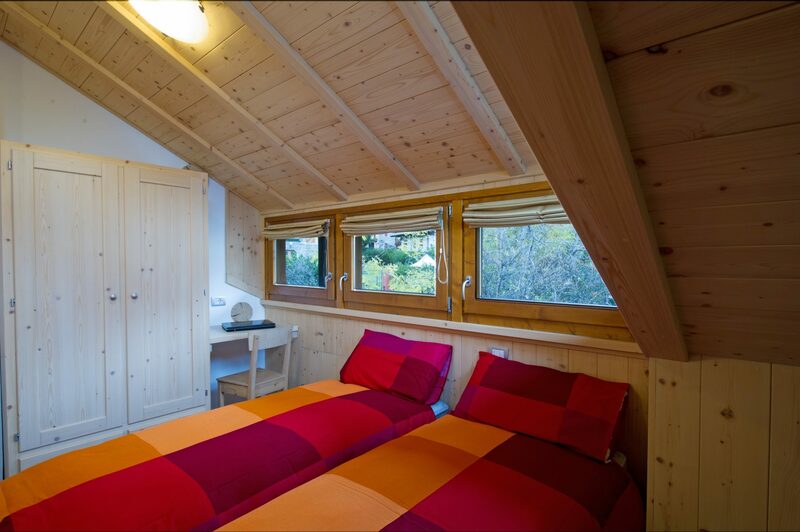 The Reit apartment is suitable for up to five people. 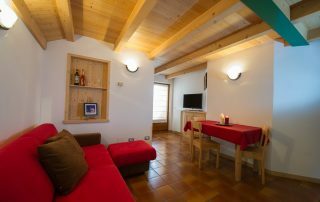 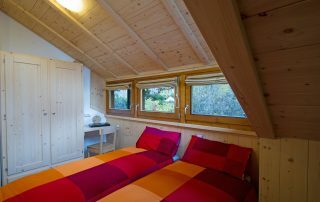 On one level, with private balcony, guests are offered fully furnished, equipped kitchen (gas hob, oven, kettle and dishwasher), day area with a comfortable sofa and dining table, a double bedroom and a bedroom with three beds. 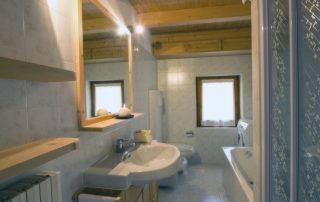 The bathroom has a shower, bathtub, bidet and toilet.